Gregory D. Abowd (pronounced AY-bowd) is a Regents’ Professor and J.Z. Liang Chair in the School of Interactive Computing at Georgia Tech. His research interests concern how the advanced information technologies of ubiquitous computing (or ubicomp) impact our everyday lives when they are seamlessly integrated into our living spaces. Dr. Abowd’s work has involved classroom education and homes, with a recent focus on healthcare delivery. He is a member of the GVU Center. Dr. Abowd directs the Ubiquitous Computing Research Group in the School of Interactive Computing. This effort started with the Future Computing Environments research group in 1995, and has since matured into a collection of research groups, including Dr. Abowd’s own group. One of the major research efforts that Dr. Abowd initiated is the Aware Home Research Initiative, which he founded in 2000 and directed until 2008. Dr. Abowd received the degree of B.S. in Honors Mathematics in 1986 from the University of Notre Dame. He then attended the University of Oxford in the United Kingdom on a Rhodes Scholarship, earning the degrees of M.Sc. (1987) and D.Phil. (1991) in Computation from the Programming Research Group in the Computing Laboratory. From 1989-1992 he was a Research Associate/Postdoc with the Human-Computer Interaction Group in the Department of Computer Science at the University of York in England. From 1992-1994, he was a Postdoctoral Research Associate with the Software Engineering Institute and the Computer Science Department at Carnegie Mellon University. Dr. Abowd has graduated 25 PhD students from Georgia Tech, and many of them have gone onto stellar careers. A full list of those students can be found on the Ubicomp Group People page under Alumni/PhD Graduates. In the Fall of 1999, the Georgia Tech Alumni Magazine did a profile on Dr. Abowd (see page 86) and some of his research from the 1990’s. Much more news about his research group, both personal and professional, can be found in the FCE website (for 1994-2004) and in the Ubicomp Group website (2004-present). 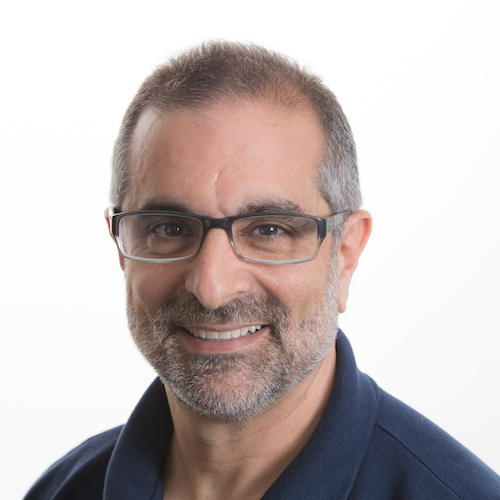 In 2008, Dr. Abowd was elected into the CHI Academy and was named an ACM Fellow. In 2007, he received the ACM SIGCHI Social Impact Award and in 2009 the ACM Eugene Lawler Humanitarian Award. Dr. Abowd is the Founding President of a local Atlanta non-profit organization, the Atlanta Autism Consortium, established to support the continued and open communication between the various stakeholder communities relating to autism in the greater Atlanta region. My research involves the application-driven aspects of mobile and ubiquitous computing. My approach is fundamentally human-centered, but with an emphasis on how technologies can be developed to address opportunities or challenges. The challenges for designing, implementing and evolving hardware and software for everyday human use that runs reliably, continuously and appropriately on the wide variety of worn, held and embedded platforms are numerous and complex. From the human-centered perspective, significant research themes emerge when new computing technology is put into real-life situations. To date, I have lead a group of that has examined such “living laboratories” in application domains of education, personal information management, life in the home, and health management. The research themes to have emerged from such work are: automated capture and access to live experiences; context-aware applications; and natural interfaces between the physical and electronic worlds. A significant research theme that has resulted from personal motivation has been the development of technologies to support challenges associated with the understanding and management of autism. More recently, I have been looking at both very large-scale deployment studies involving the campus community, through the CampusLife or Quantified Campus project, with a focus on how a student’s digital trace relates to their (academic, physical and mental wellness). I have also begun an interdisciplinary research effort that looks into new models of computational devices, specifically how to merge the large-scale manufacturing techniques of paper and textiles with advances in nanomaterials and non silicon-based computational elements.